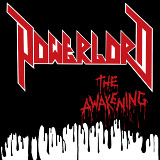 Powerlord was one of those 80s speed metal groups that had the lifespan of a mayfly, releasing only one album in 1986 before disbanding; there have been a couple of reissues since, including the most recent one from Shadow Kingdom Records that I'm listening to. Though even with a cleaned up production, The Awakening still isn't ever going to be considered a classic, the furious proto-thrash energy found in the speed metal of American contemporaries such as Metal Church still shines through after almost thirty years. Masters of Death gets started with a post-NWOBHM hammering rhythm interspersed with Tony Gourley's smooth though rather unoriginal overdriven guitar solos. The vocalist, Dane Cook, alternates between rough shouting and a high falsetto scream, used to even more effect on Malice, a second track emphasizing heaviness in rhythm rather than much in the way of a melody. Lyrically, the songs are a mess, consisting of disjointed references to supernatural enemies, a war in which the object is to slay them, and plenty of nod-and-a-wink references to metal itself; but this corniness is delivered with such delighted excitement that it's almost impossible not to like or headbang to. Silent Terror is better instrumentally, with more soloing and an attempt at better melodies and lyrics, but this is actually the group's Achilles heel. Their skill lies in bludgeoning the listener, and without the speed and power that was found in the preceding tracks, Silent Terror falls flat. The Invasion of the Lords, the thrashiest song on the album, returns to the mindless fun the album started with even faster rhythms, dumber lyrics, and more of that low-frequency guitar soloing. I never got to hear the first vinyl version of this one, but I believe Shadow Kingdom when they say they remastered their new copy from the original master tapes. The remastered version sounds great without sacrificing the original sound; the deep but squawky guitar overdrive and reverb on the drums quite literally screams the 80s era, but the drums and bass aren't buried under the guitar like they are on all too many 80s recordings, and nowhere is that seen better than Merciless Titans, which has even more of Cook's screams, combined with a metal rhythm riff that has been heard in countless speed and thrash metal songs, but still doesn't lose its raw power here. About halfway through, the rhythm riffs change to unstoppable thrashing with Gourley soloing at top speed; you can imagine this song getting an enthusiastic reception in the mosh pit at this point. Finally, we have (The Awakening) Powerlord, with a core riff sounding like something Dave Mustaine would have come up with in his early days, and which brings the album to a satisfying close. On a longer album, this would probably get pretty exhausting, but as it is, it's just right, and it doesn't hurt at all that the whole band is so tightly together. The resulting sound is a solid block of sheer mid-80s energy, and even on the silliest parts it holds together nicely. It's too bad Powerlord got lost in the mists of time, but the remaster goes a long way towards remedying that sad state of affairs, and is definitely worth picking up.